Just two years ago, the world stood still and watch Iceland’s amazing journey to the Euro 2016 quarter-finals. A nation of under 350,000 people knocked England out of the European Championships and clapped their way into the hearts of football fans worldwide. And guess what? They’re at it again. The 2018 World Cup in Russia will be Iceland’s first after they shocked Ukraine, Croatia, and Turkey to top their group and become the smallest nation to ever qualify for a World Cup finals. Better still, the nature of life in such a small country means the squad for Russia is full of rich, interesting, and unique stories. 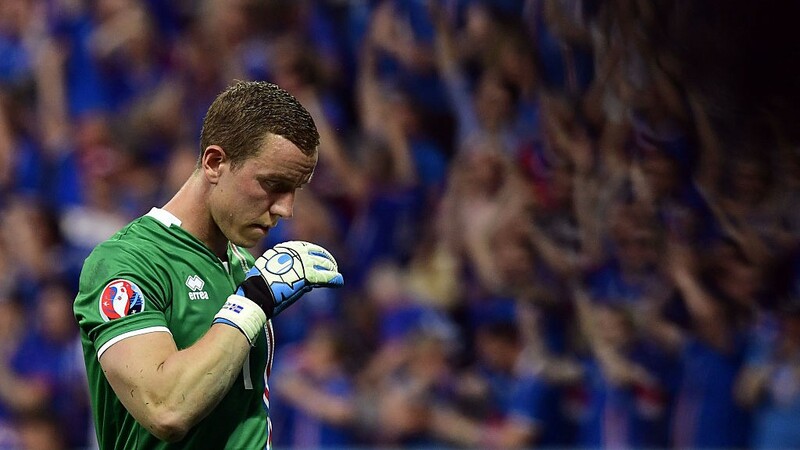 Rejected by a fourth division Icelandic team at 20, Halldórsson considered quitting football. He obviously didn’t but the rise from there to international competitions is quite something. It’s even more astounding when you hear he doesn’t even consider football his main job. Back in 2012 the goalkeeper directed Iceland’s official Eurovision entry and he has even bigger projects going on at the moment. “I got a message from [Paulo] Dybala when Argentina went through and I sent the same to him, saying: ‘Looking forward to seeing you in Russia’ – hopefully we will be in the same group,” Magnússon told the Guardian back in 2017. They’ll meet each other in Moscow on the 16th June. But how and why is an Iceland international playing in the Championship friends with Paulo Dybala? At just 18, Magnússon was signed by Juventus and spent five years on the books of the Italian champions, where he says he regularly practised free-kicks with Andrea Pirlo. As you do. Nowadays he’s at Bristol City where, apparently, fans love him more than he knows. Iceland’s captain could be excelling in another sport instead. At the age of 15, Gunnarsson became one of the youngest players to ever appear in a handball match in Iceland. That’s no mean feat: Iceland are one of the top 20 handball teams in the entire world. Gunnarsson chose the path of football and by 17 was playing in the Eredivisie. 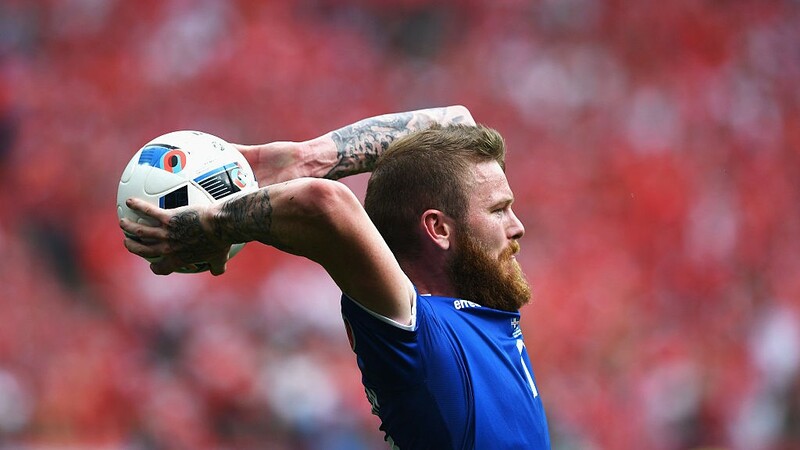 Gunnarsson made his Iceland debut a year later and has been captain since he was 23. A long-throw expert, the Cardiff City midfielder scored the Bluebirds’ first ever Premier League goal back in 2013. No current Iceland player has more than his 76 caps. While studying at the International School of London, Guðmundsson had trials with both Chelsea and Fulham at 16 before his family decided life in London wasn’t for them. Eight years later he was back in London with Charlton Athletic and now plays at Burnley, unleashing an explosive left foot on Premier League opponents at every opportunity. A candidate for Iceland’s right-wing Independence Party in both 2016 and 2017, Gíslason is clearly a busy guy. In truth, Gíslason was just added to the end of the ballot in Reykjavík South as a lijstduwer. A what? That’s a Dutch word for when a person of prominence isn’t a real candidate but is added to the bottom of the ballot to encourage others to vote for a particular party. The winger does actually play football for a living, though, and was with Nürnberg and SV Sandhausen in the German second tier last season. His contract expires this summer and he’s mulling over a new deal. He may be a part of the family with the most football heritage in all of Europe. Guðmundsson’s father played for Iceland and became world famous as the commentator who lost his mind when Iceland beat Austria and England two years ago. Guðmundsson’s mother also played for Iceland and her father also played for Iceland. We aren’t done yet. Albert Guðmundsson’s great-grandfather (also named Albert Guðmundsson) was the first Icelandic professional footballer ever and played for Arsenal and AC Milan during the 1940s. We kid you not. We would comfortably bet that Hallgrímsson will be the only manager and dentist at the tournament. Yes, Hallgrímsson is a dentist and has been for decades. He took the job as manager of a women’s team alongside that role in the 1990s and went on to manage women’s and men’s teams before becoming Iceland’s assistant manager in 2011. 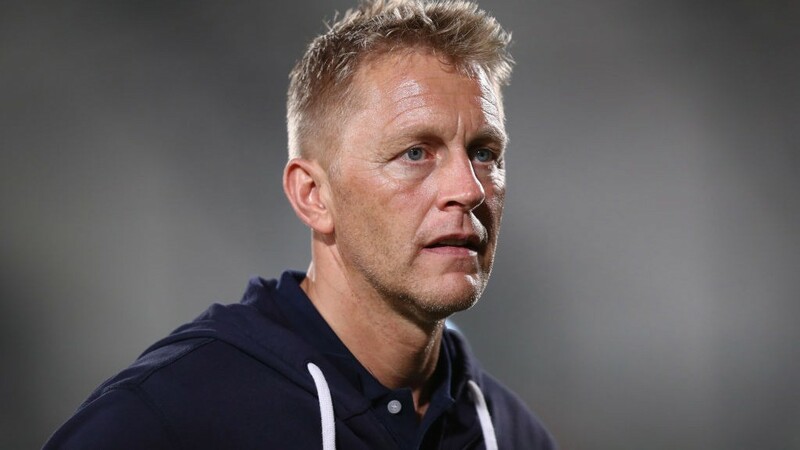 When renewing his contract in 2013, he became joint-manager with Lars Lagerbäck, who left Hallgrímsson in charge alone after Euro 2016.